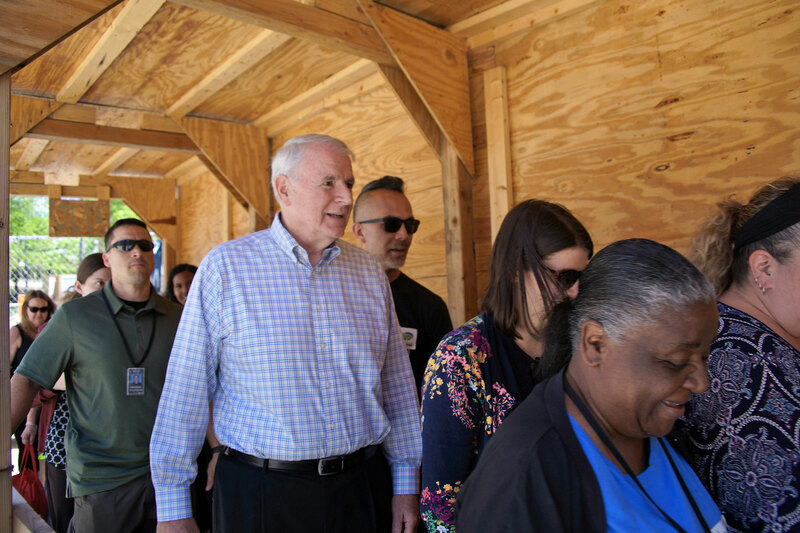 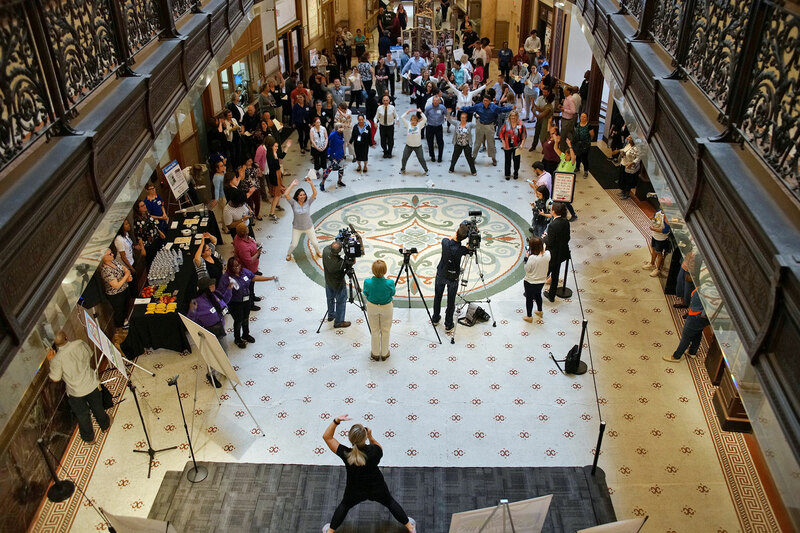 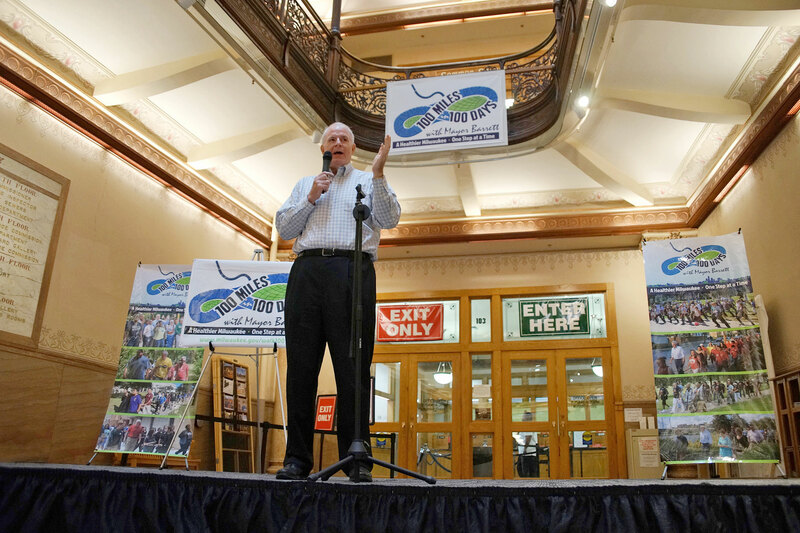 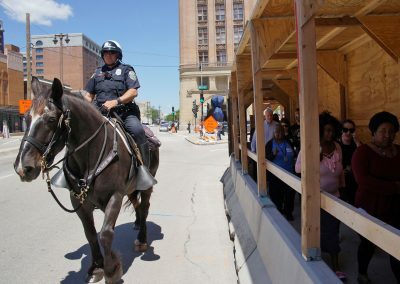 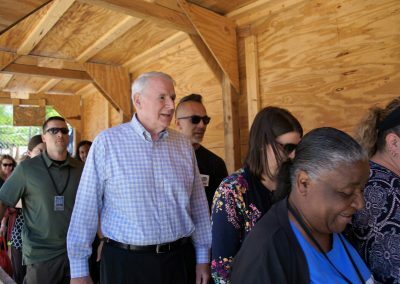 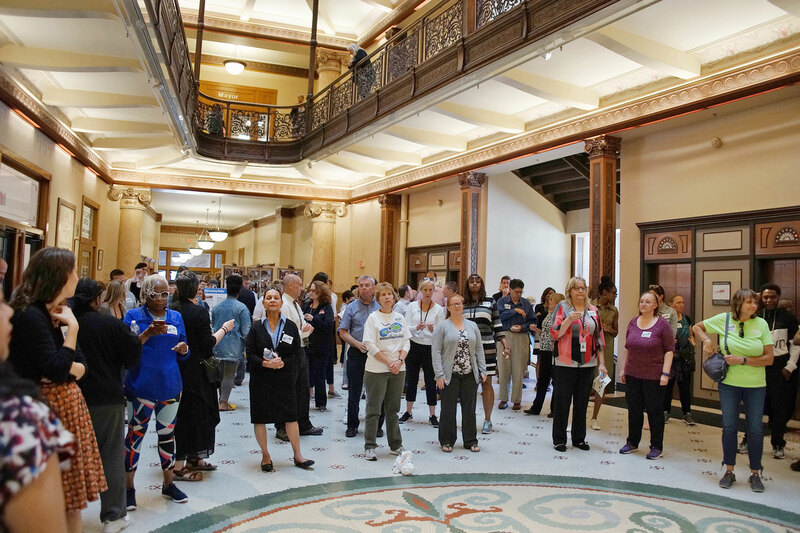 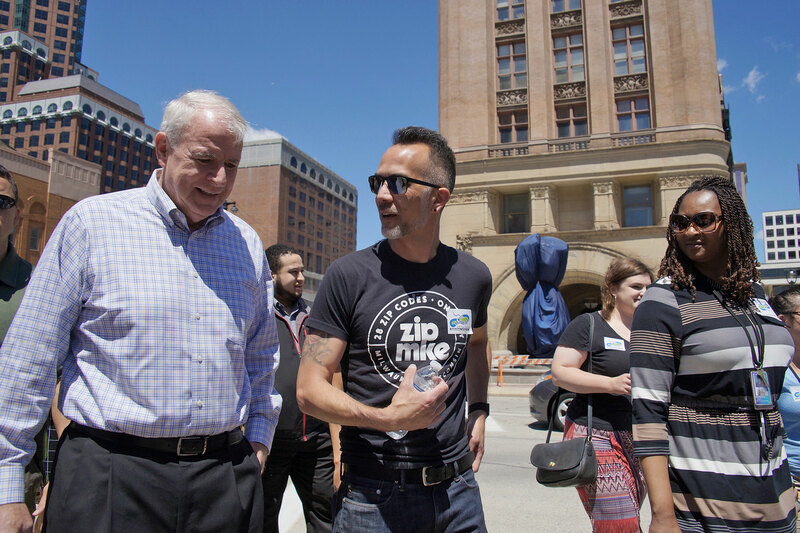 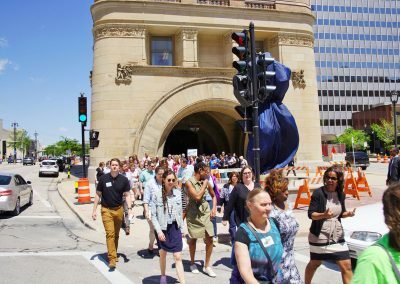 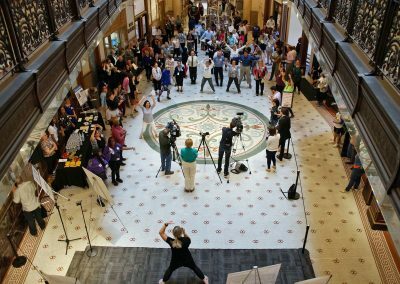 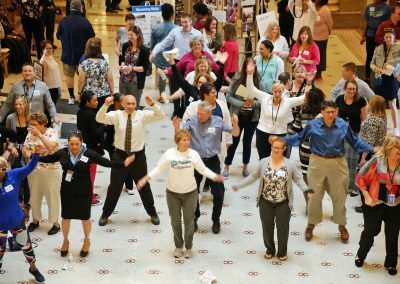 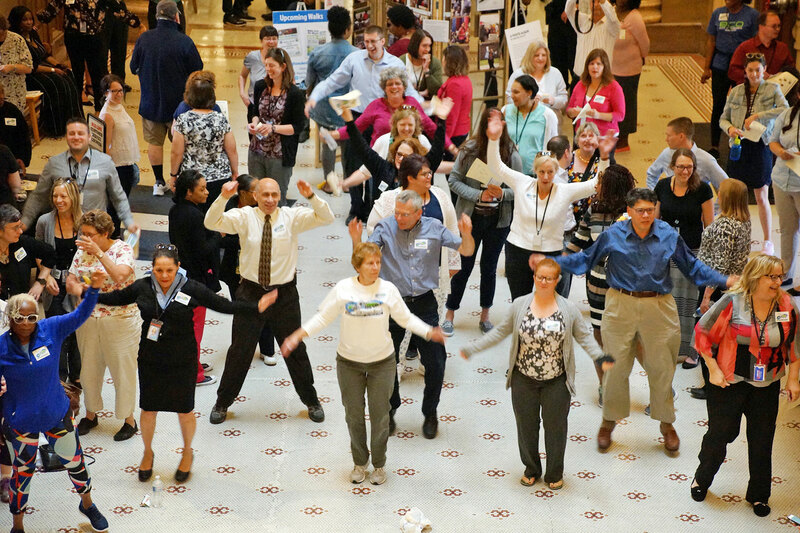 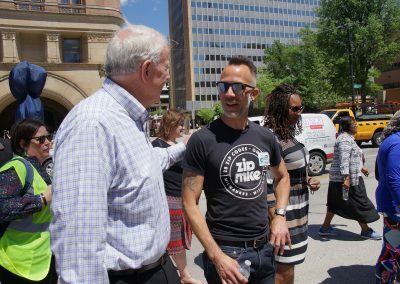 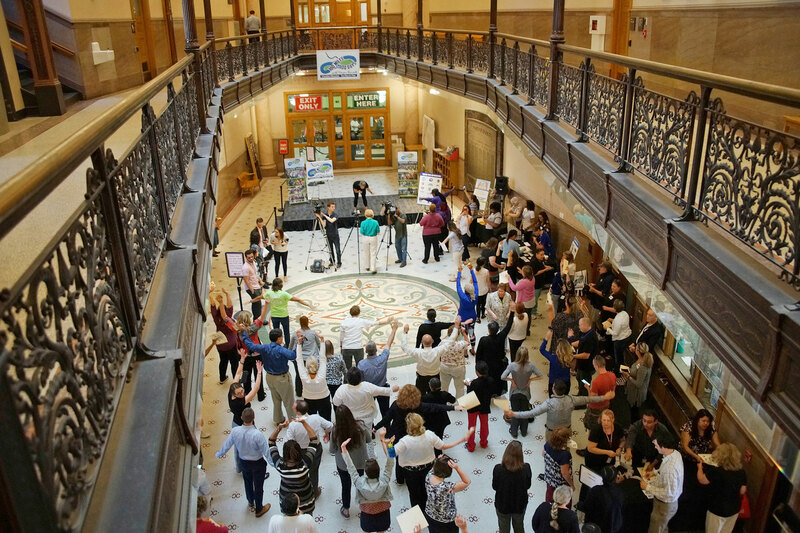 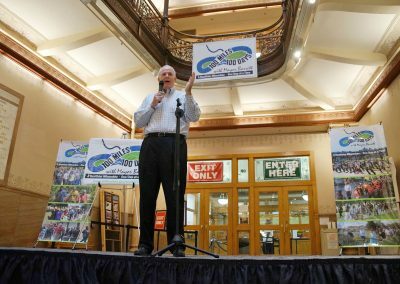 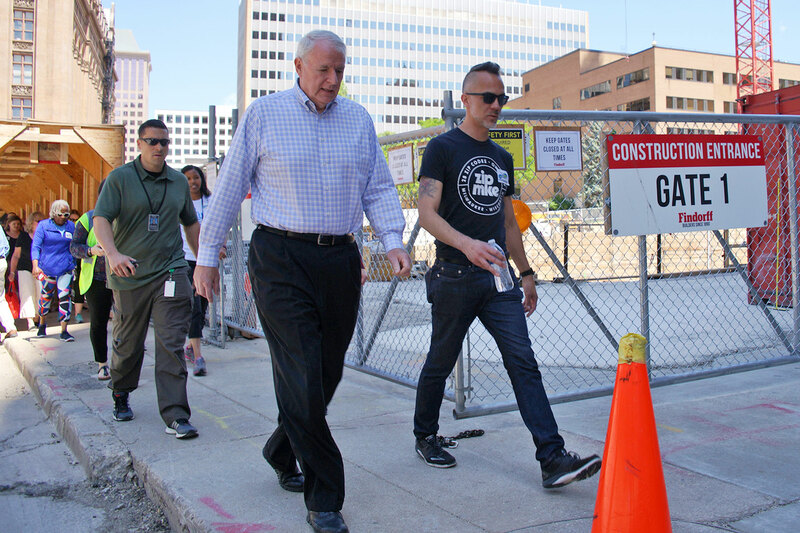 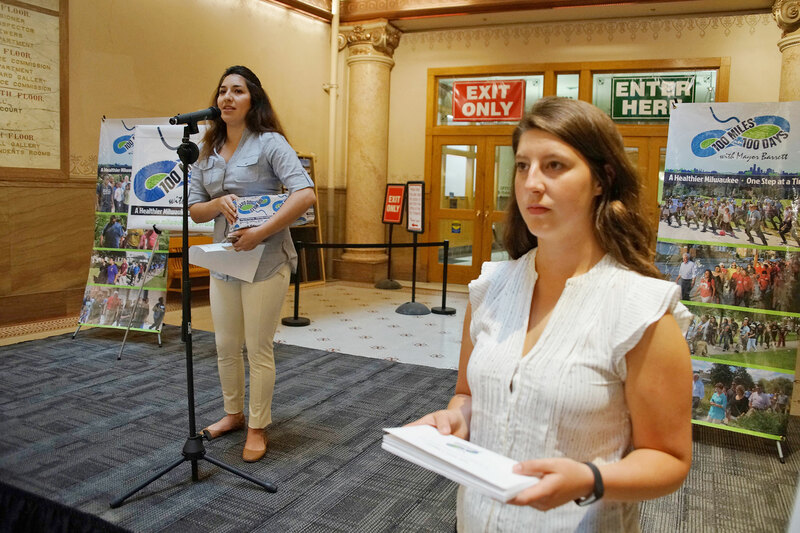 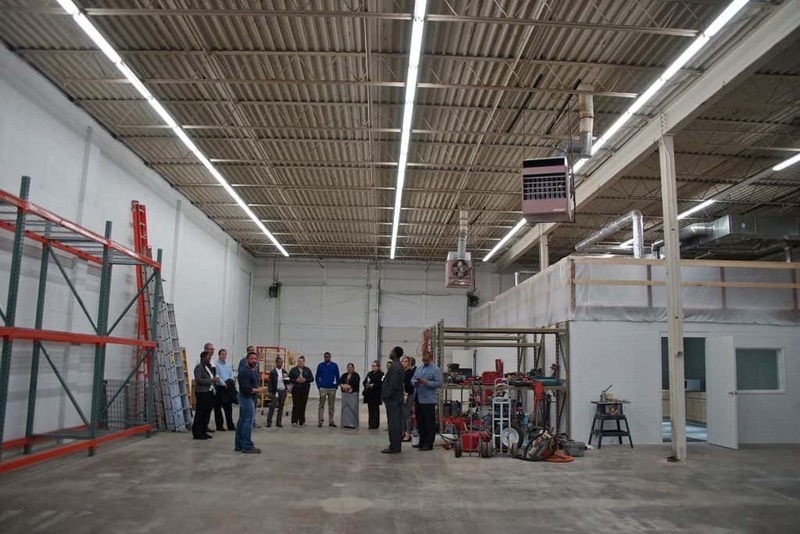 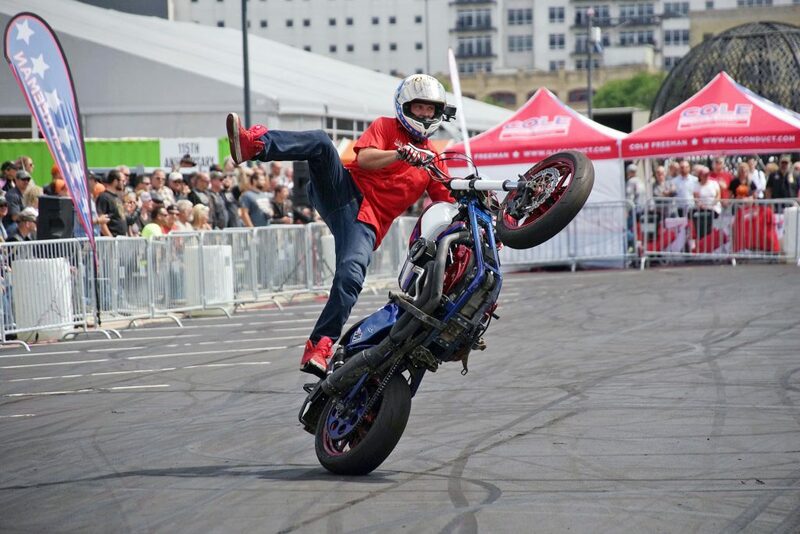 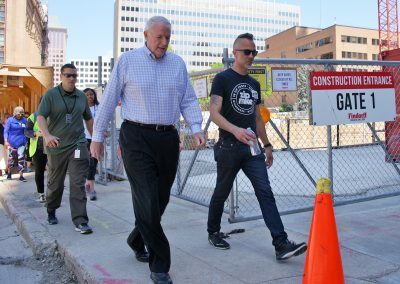 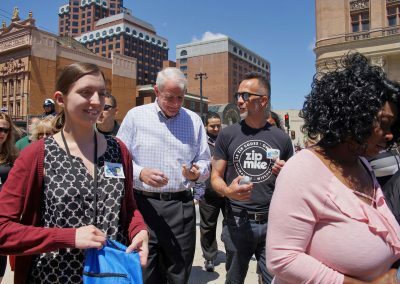 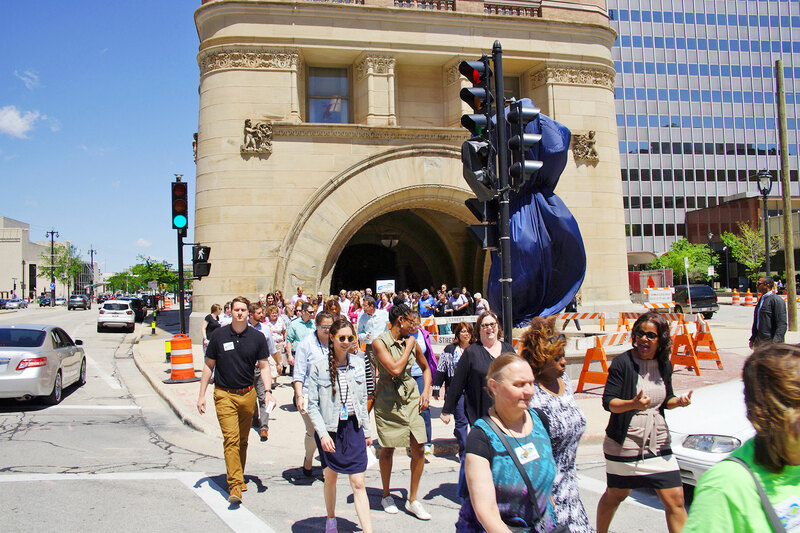 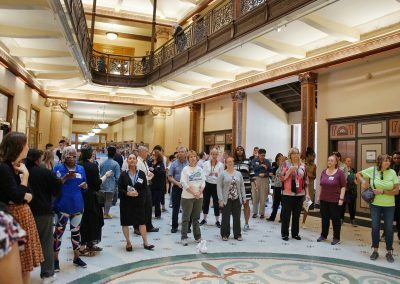 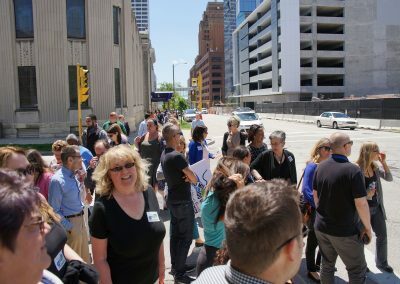 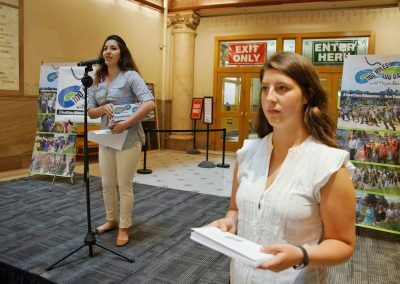 Milwaukee Mayor Tom Barrett’s fifth annual summer health initiate launched on June 4 from City Hall, combining excise, community, and the arts. 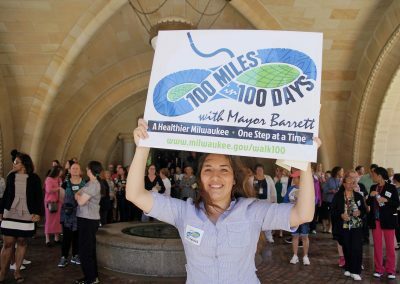 The Walk 100 Miles in 100 Days Challenge kick off event began with a group led stretch, followed by a motivational pep talk from Mayor Barrett, and a raffle for prizes. 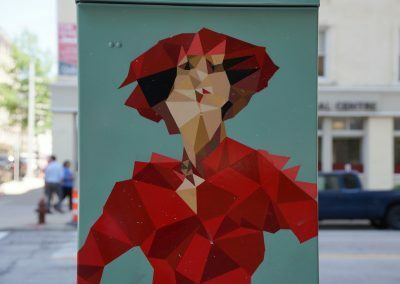 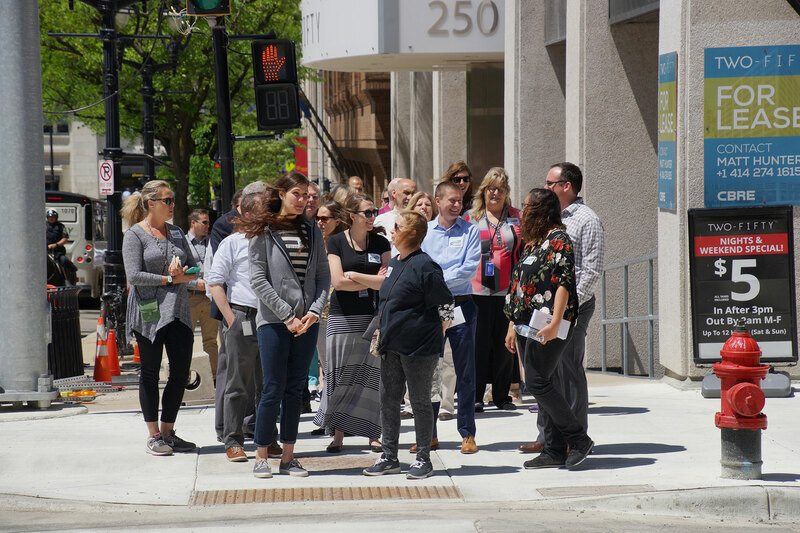 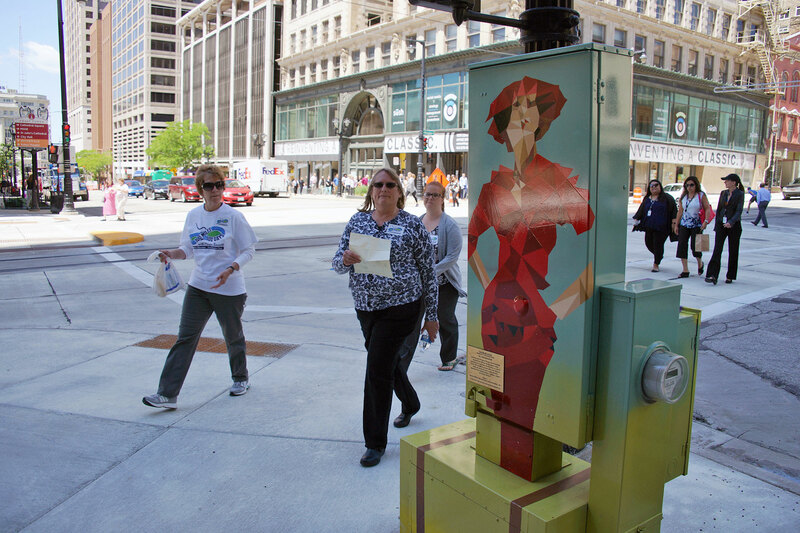 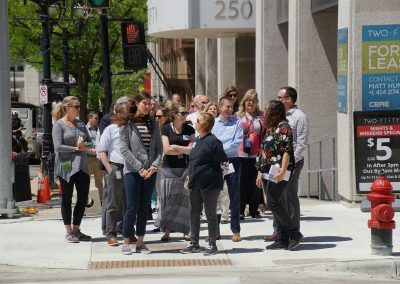 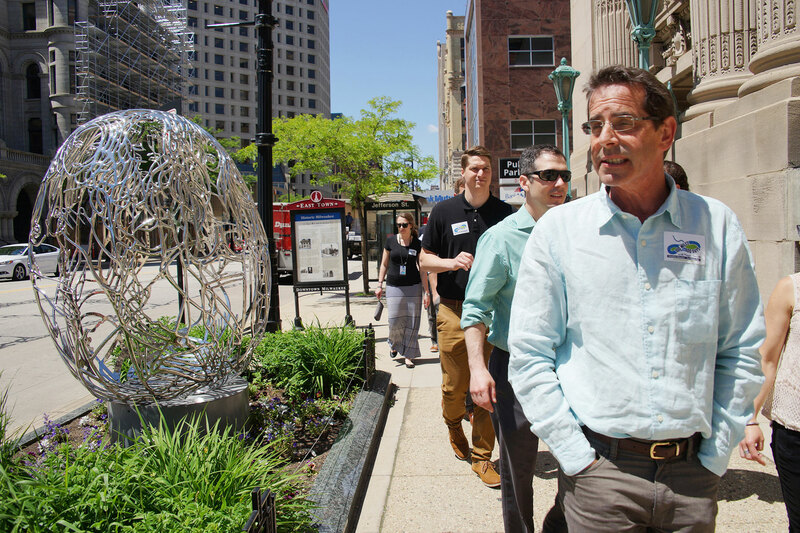 This year’s walk explores art by Sculpture Milwaukee, winner of the 2018 Mayor’s Design Awards, and by artist Mauricio Ramirez, responsible for the utility box paintings lining Wisconsin Avenue. 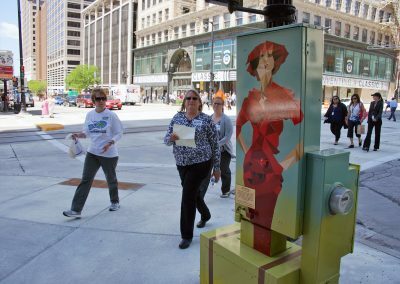 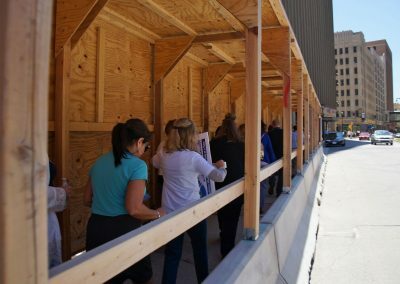 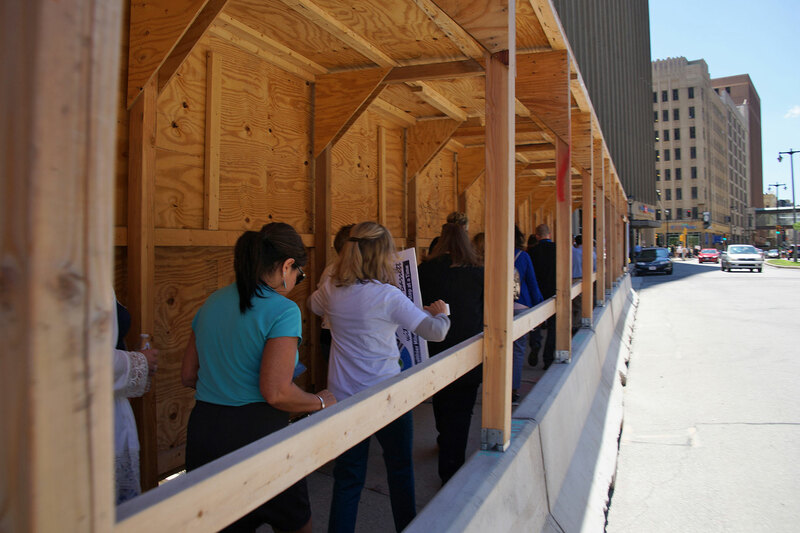 The walk included an interactive map encouraging participants to spot art along the route. 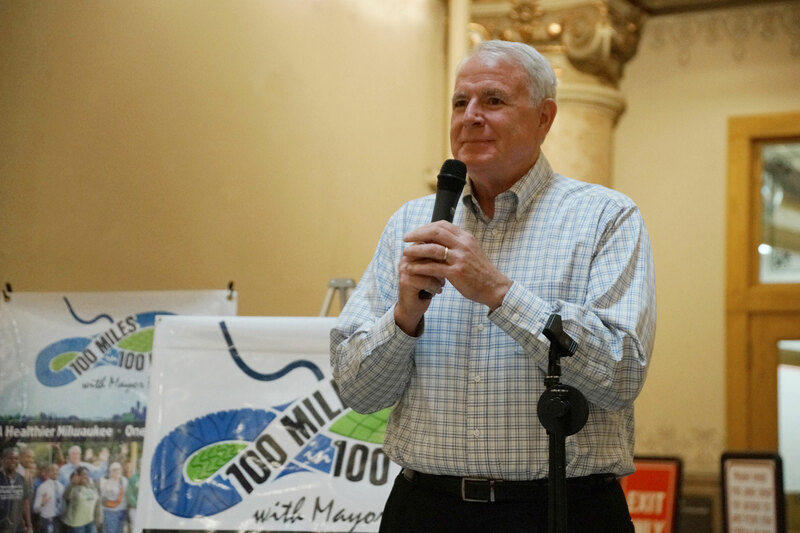 Throughout the summer, Mayor Barrett encourages all city residents to walk and track their miles using the online system for a chance to compete with other residents and win special prizes. 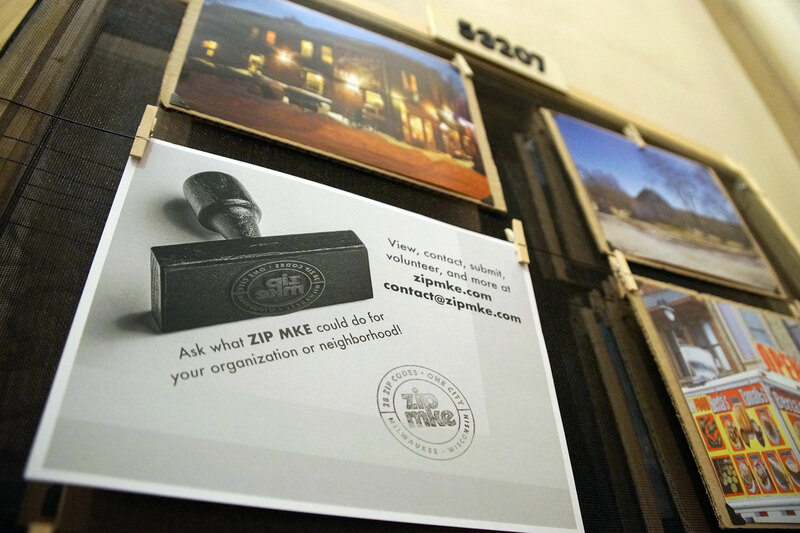 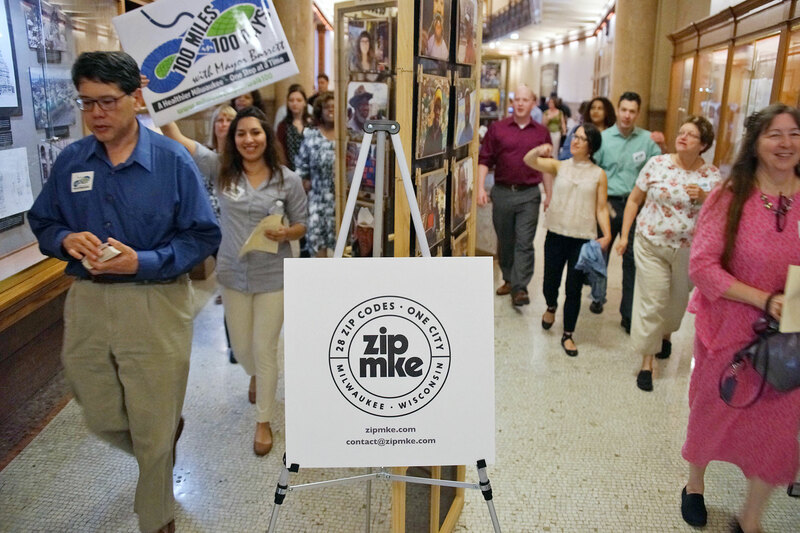 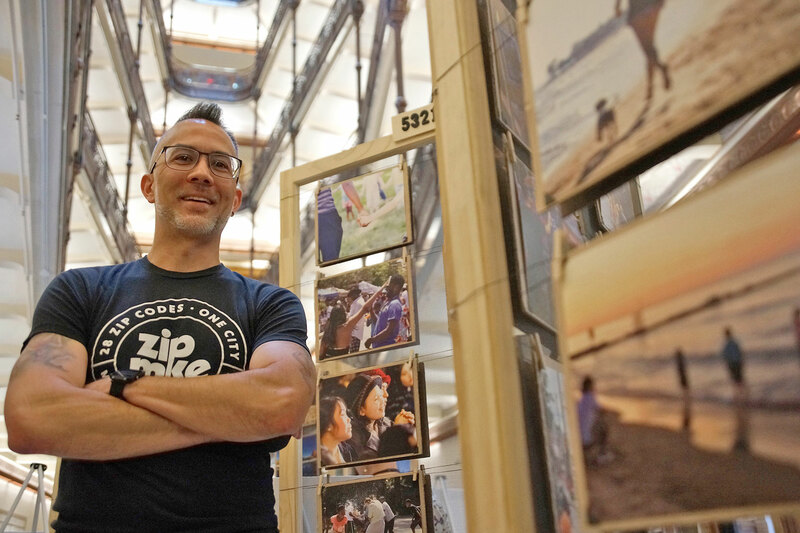 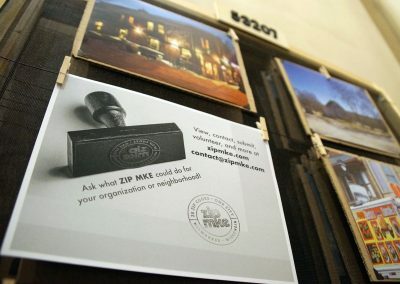 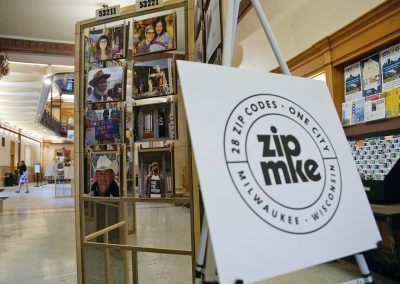 On display at the kick off event was a photo exhibit created by ZIP MKE. 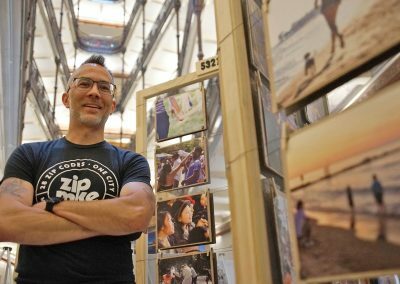 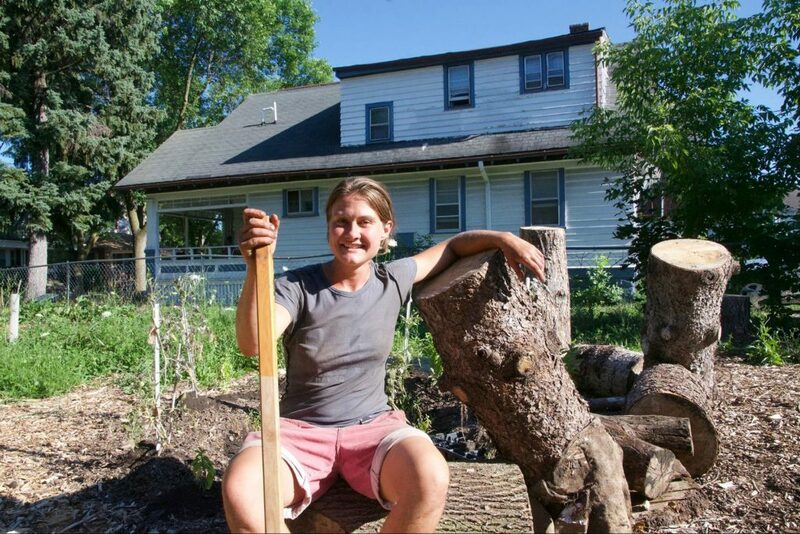 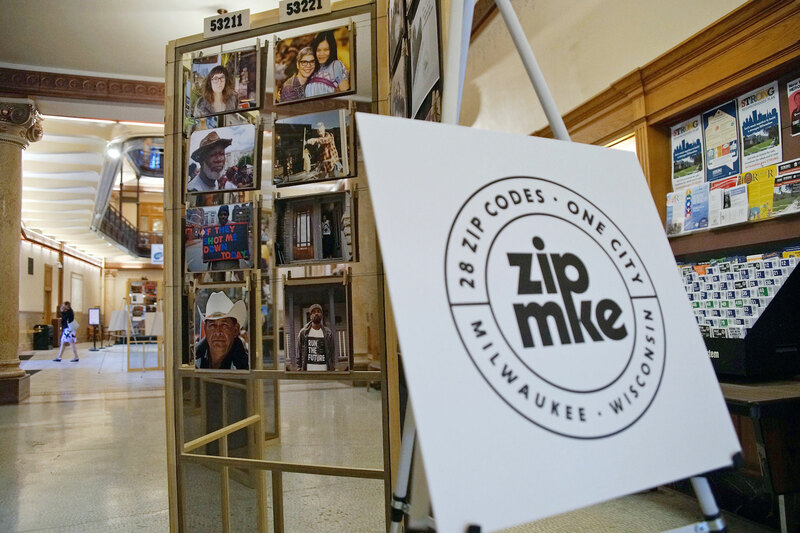 The exhibit is a collection of self-submitted photos from residents in every zip code around Milwaukee. 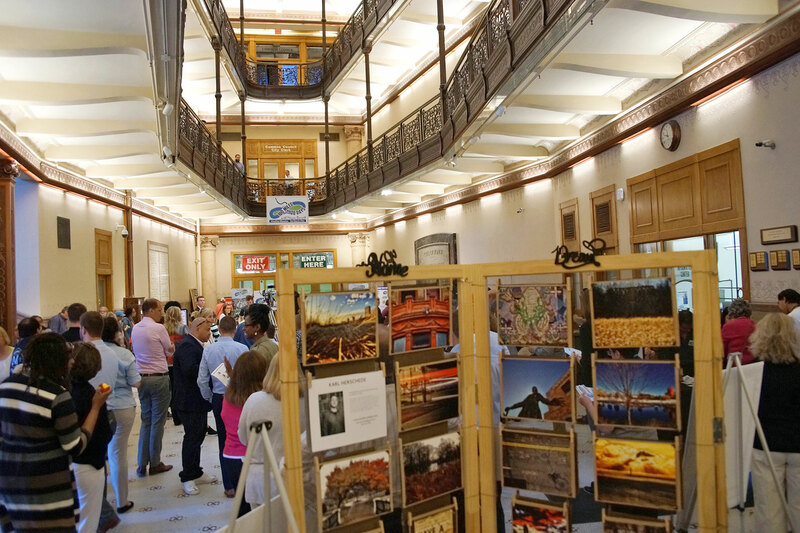 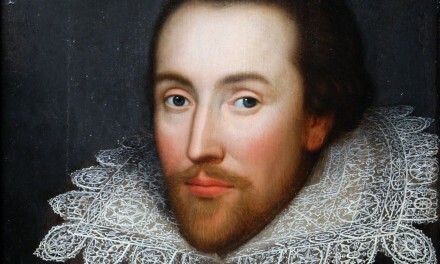 The exhibit will continue to be displayed in the City Hall rotunda through June 15. 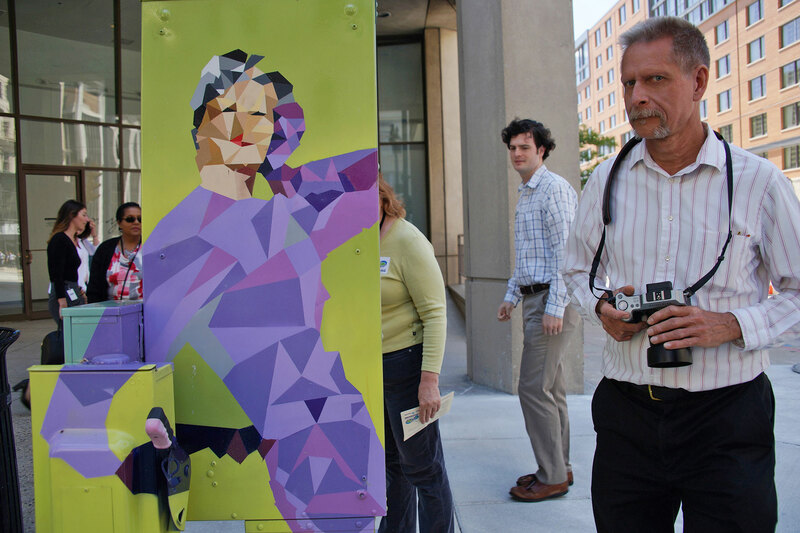 A newly added photo challenge encourages city residents to photograph faces, community spaces, objects, and moments during the walk. 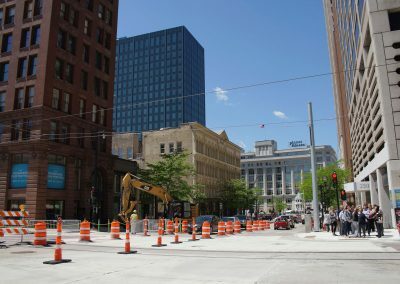 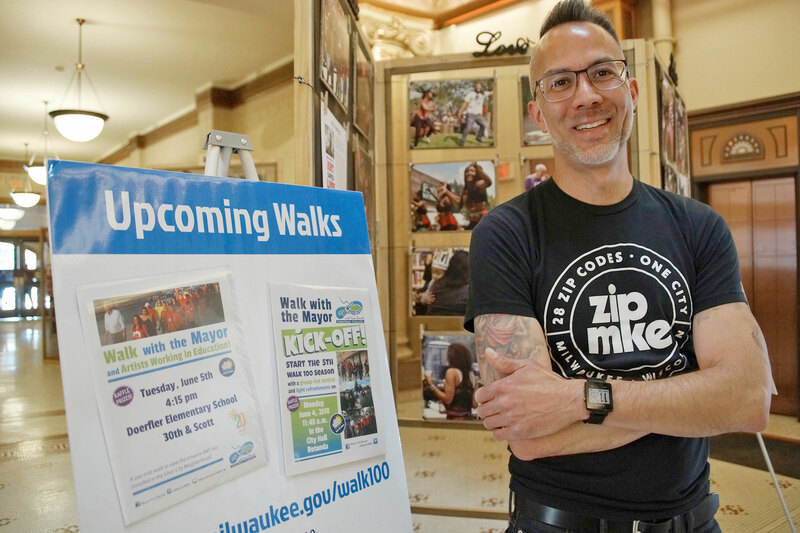 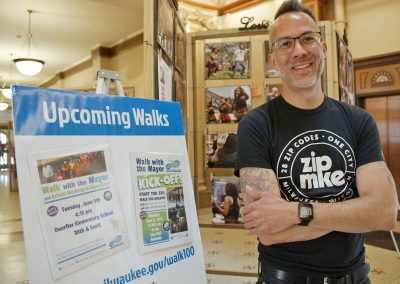 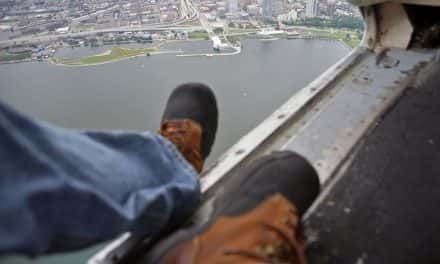 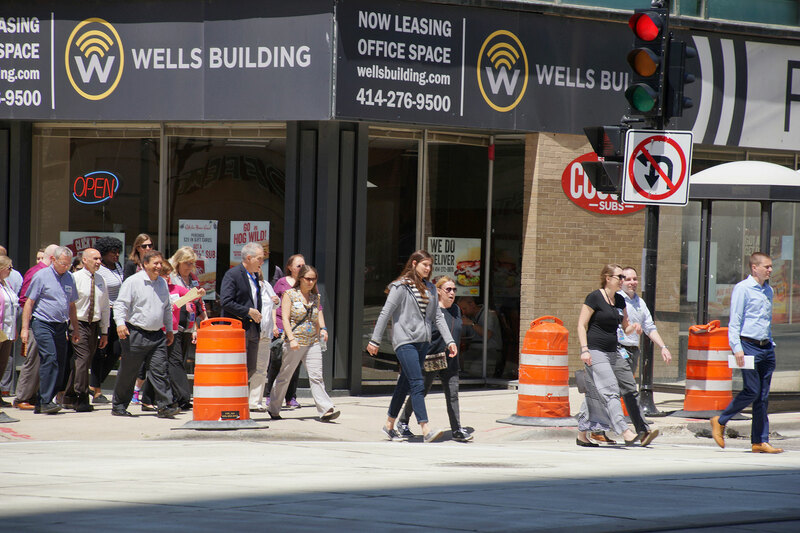 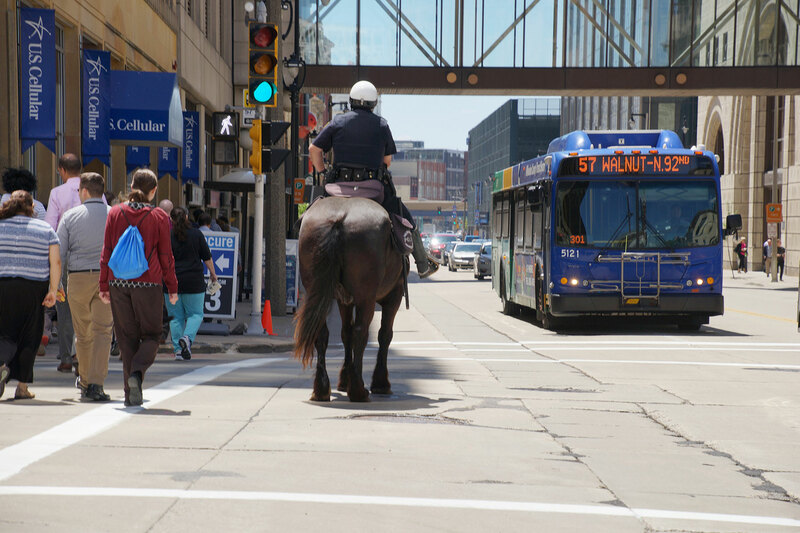 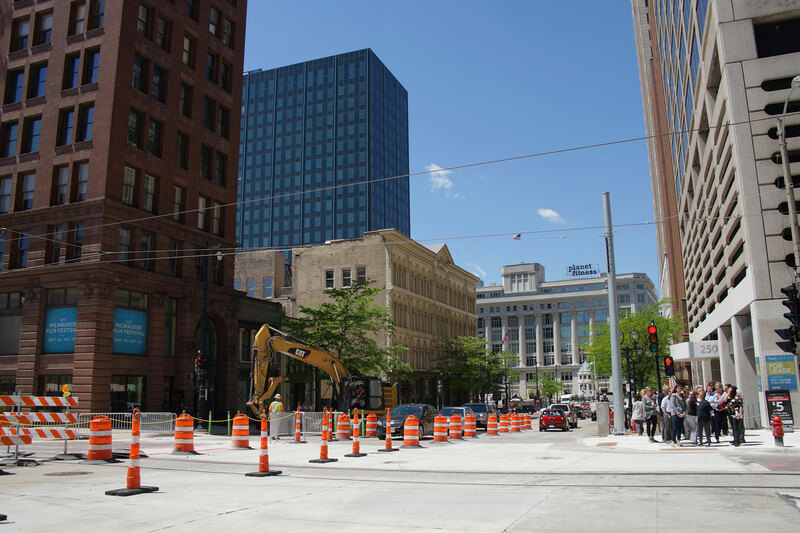 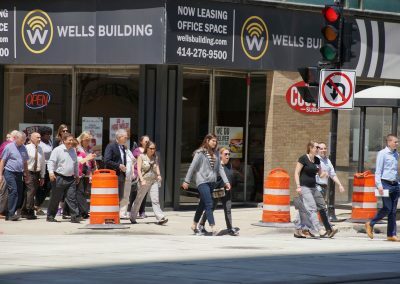 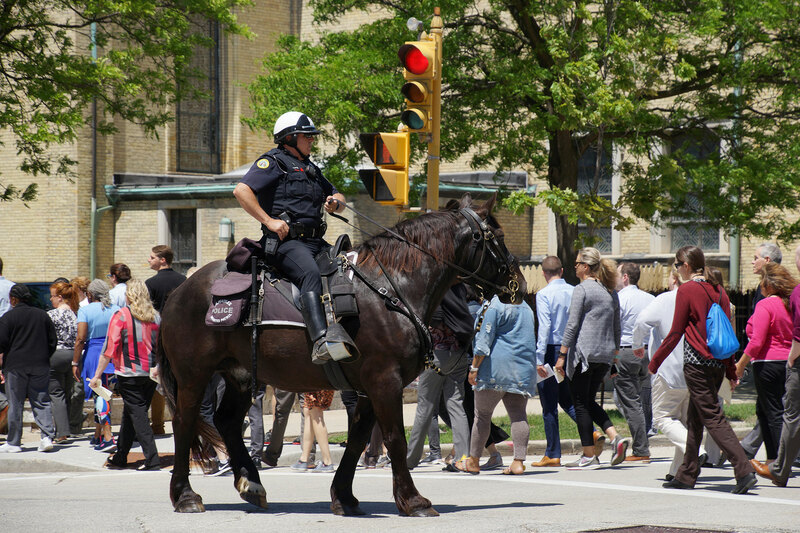 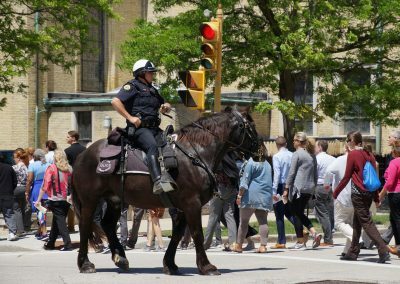 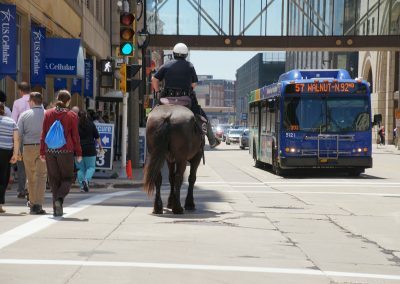 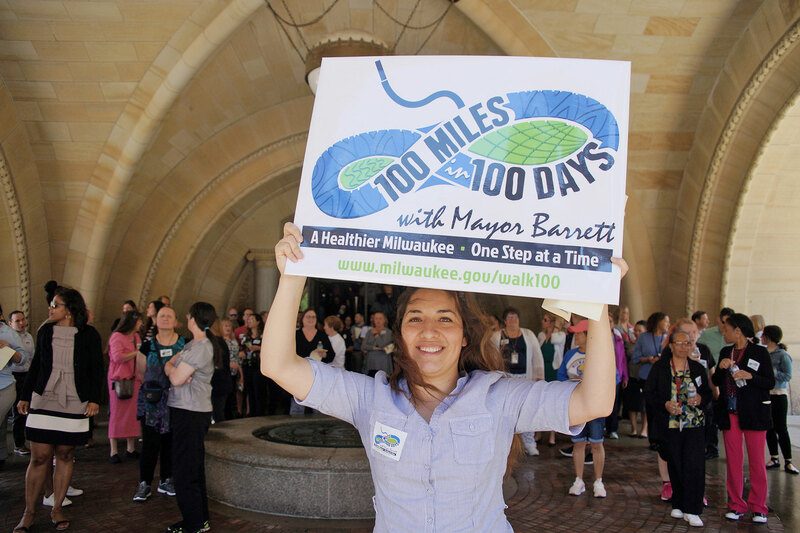 Images submitted via social media using the hashtag #Walk100 have a chance to be featured on the Mayor’s social media page, ZIP MKE website, and also win an annual Bublr Bike pass and other prizes. 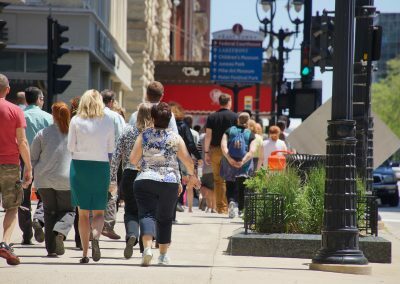 Participants can see the full summer calendar of neighborhood walks from the city’s website, and track mileage progress online. 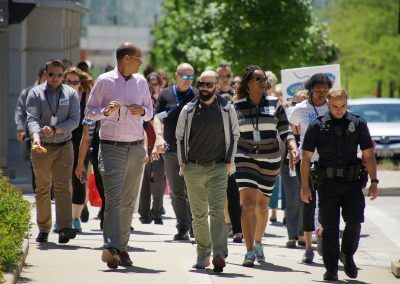 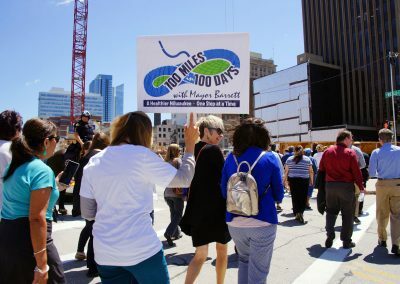 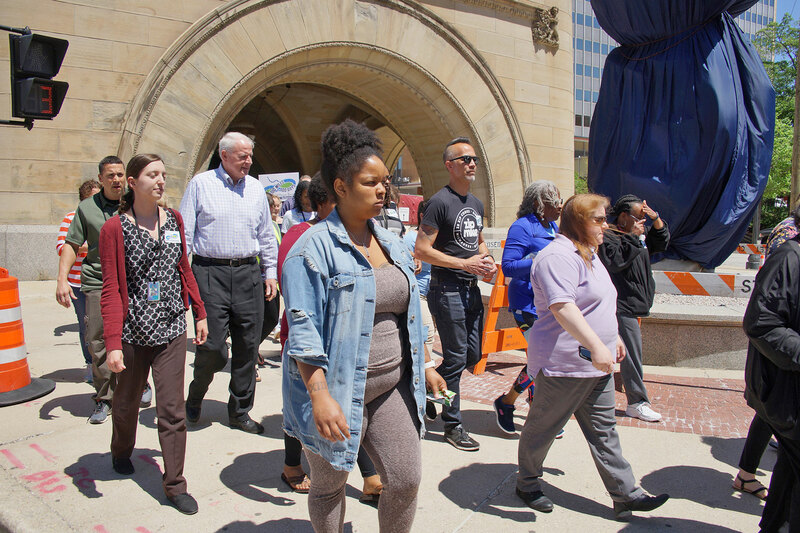 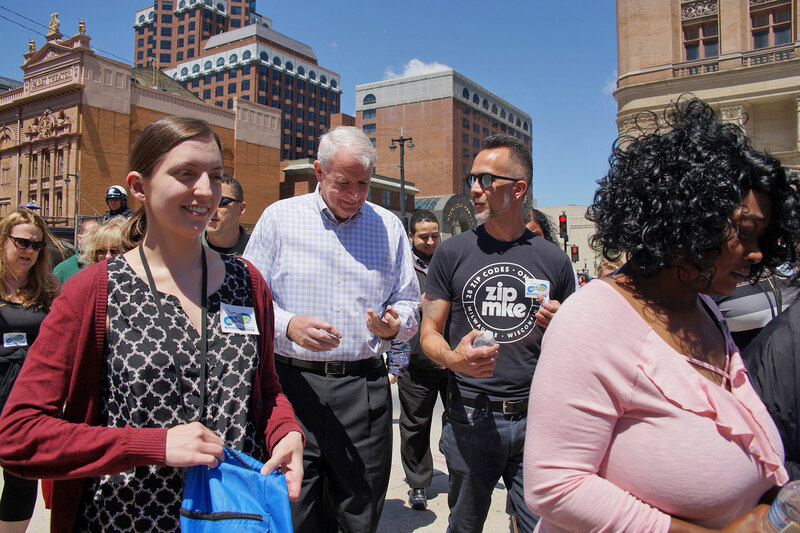 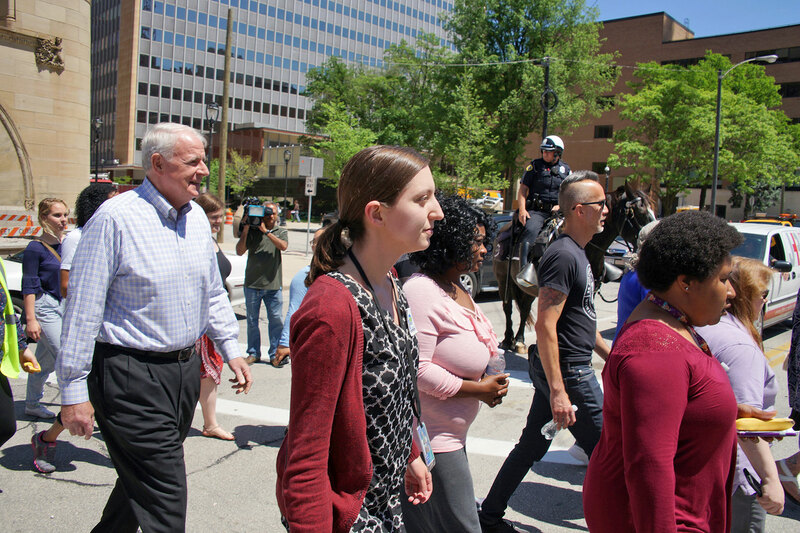 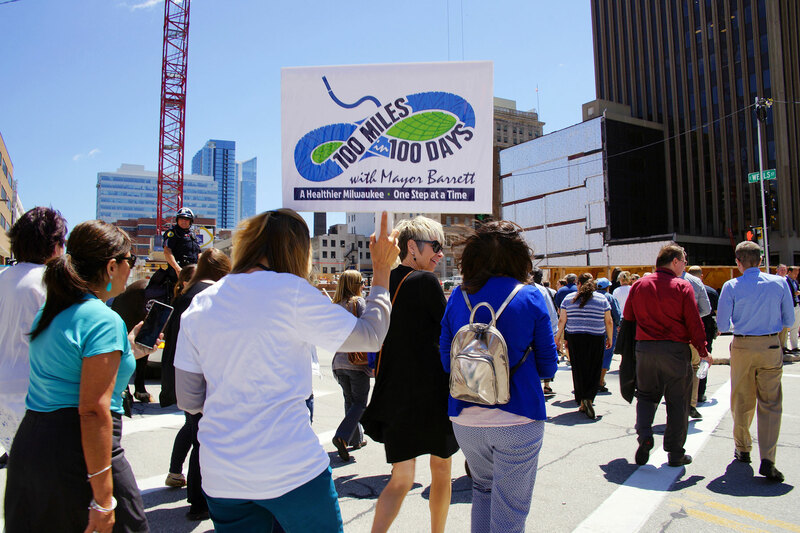 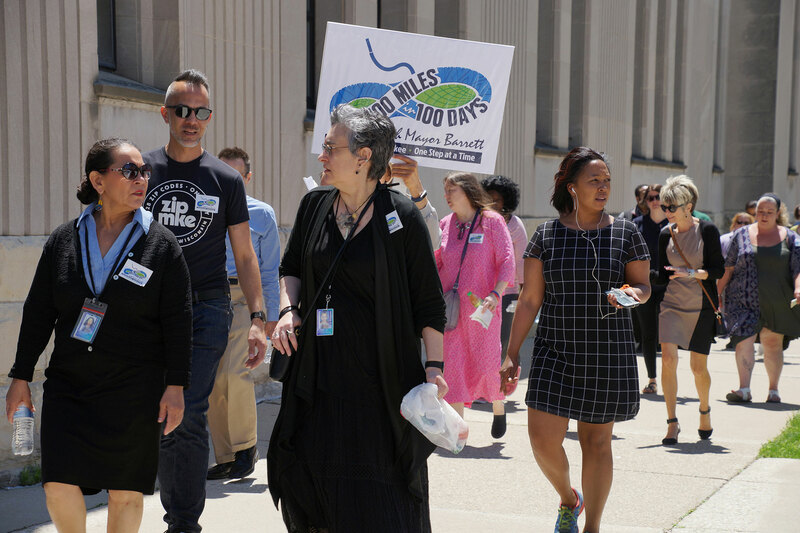 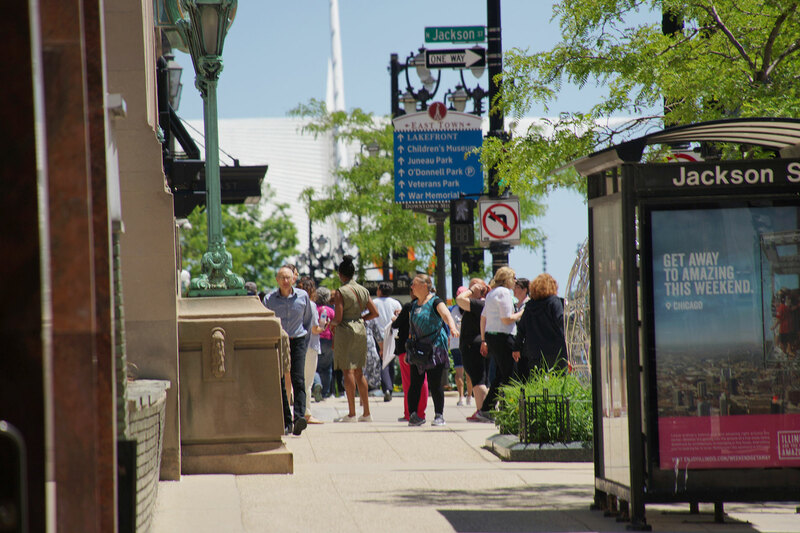 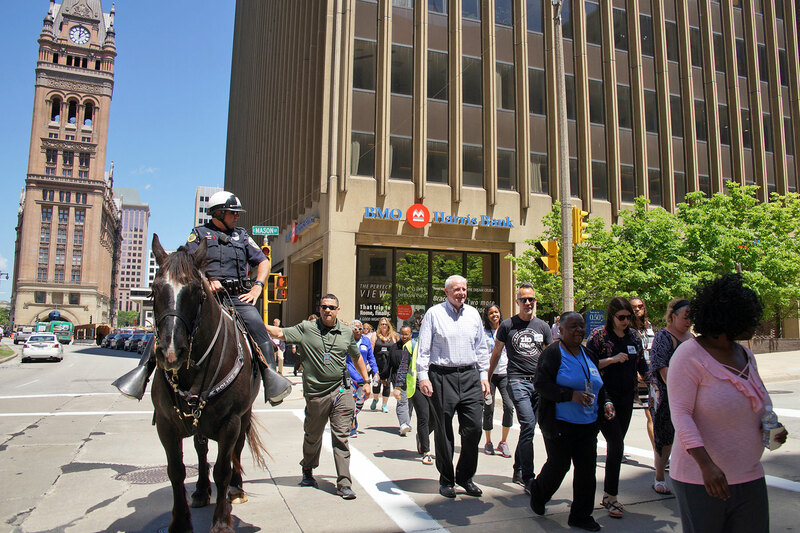 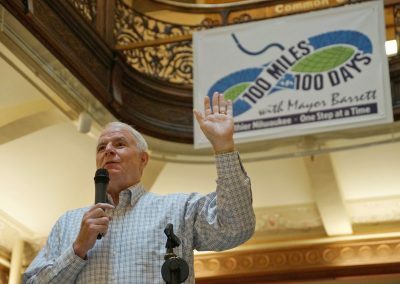 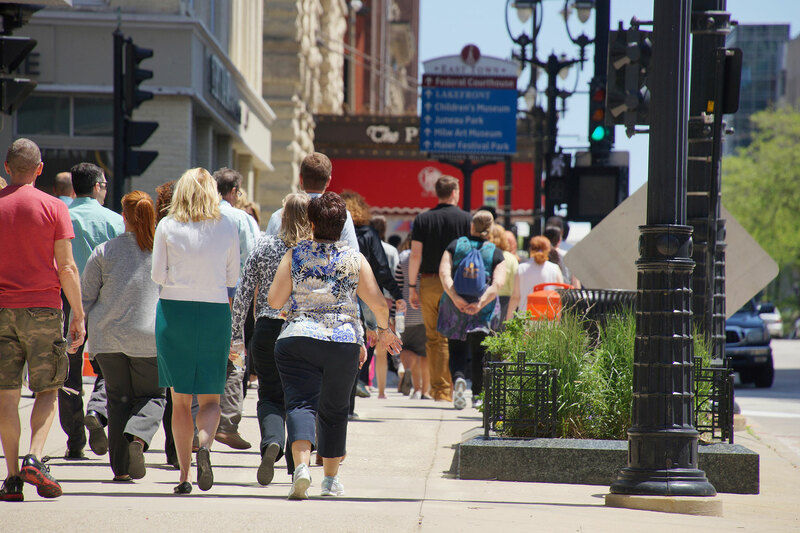 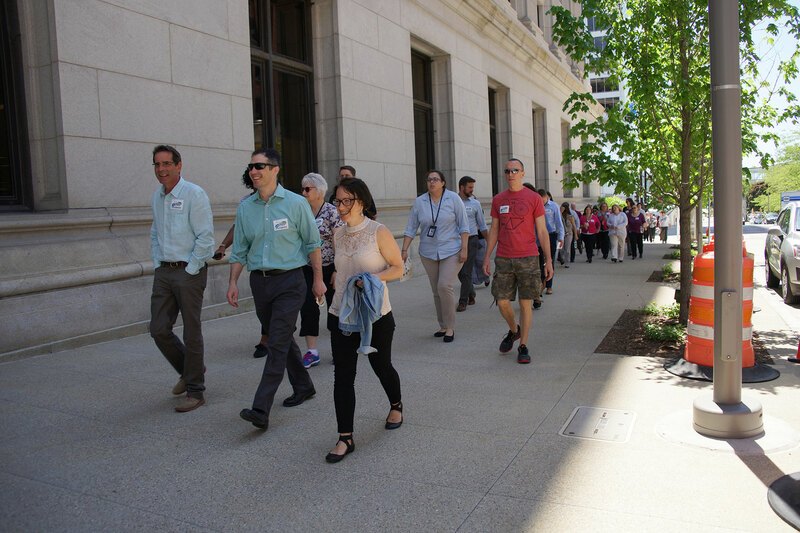 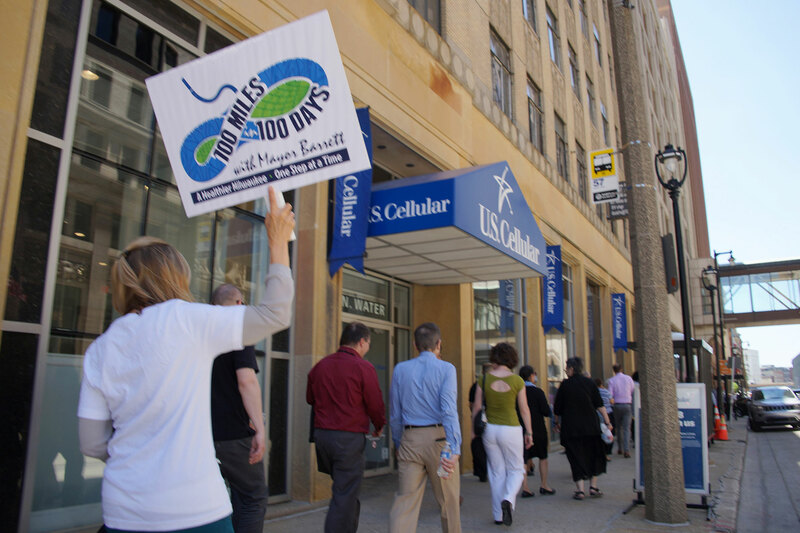 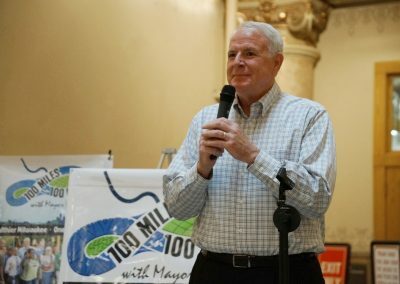 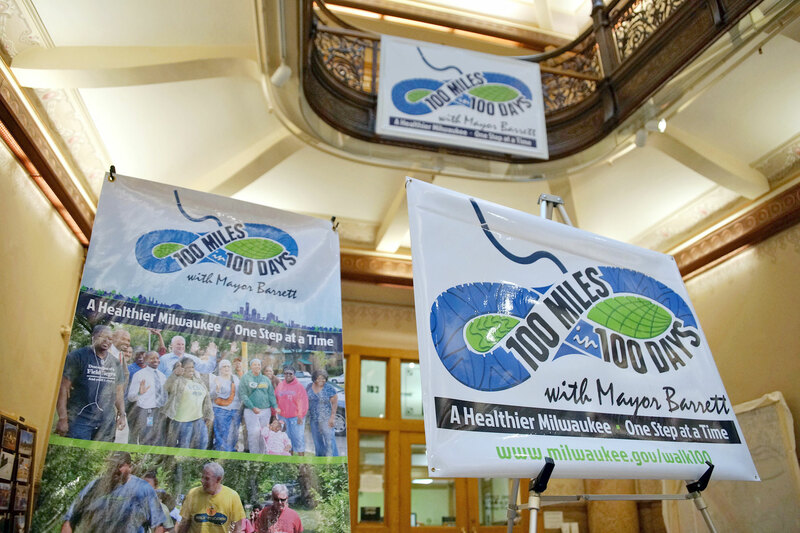 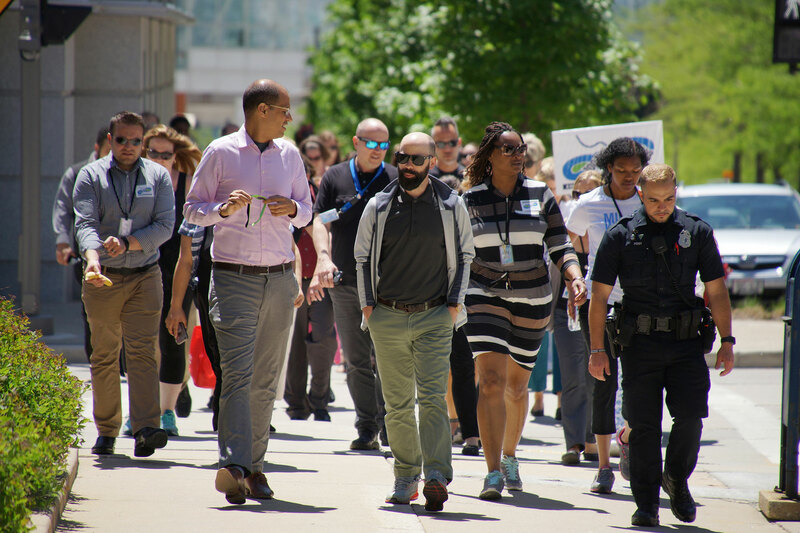 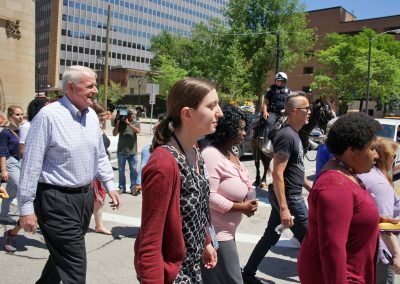 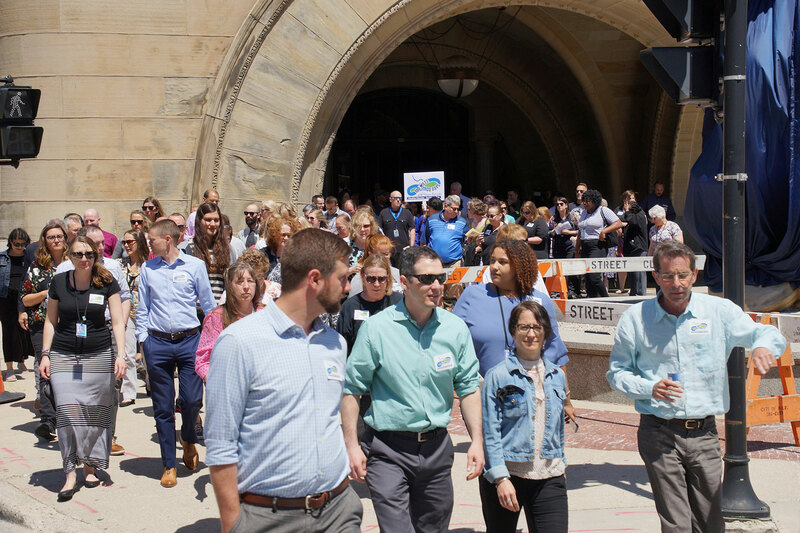 Mayor Barrett created the Walk 100 Miles in 100 Days Challenge in 2013 with the belief that when residents walk alongside people in their community, relationships are formed and our city becomes stronger. 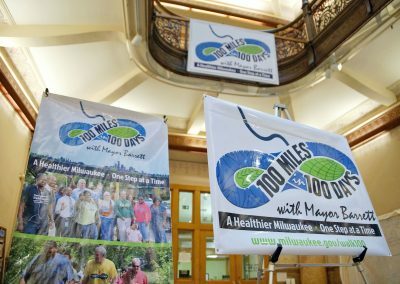 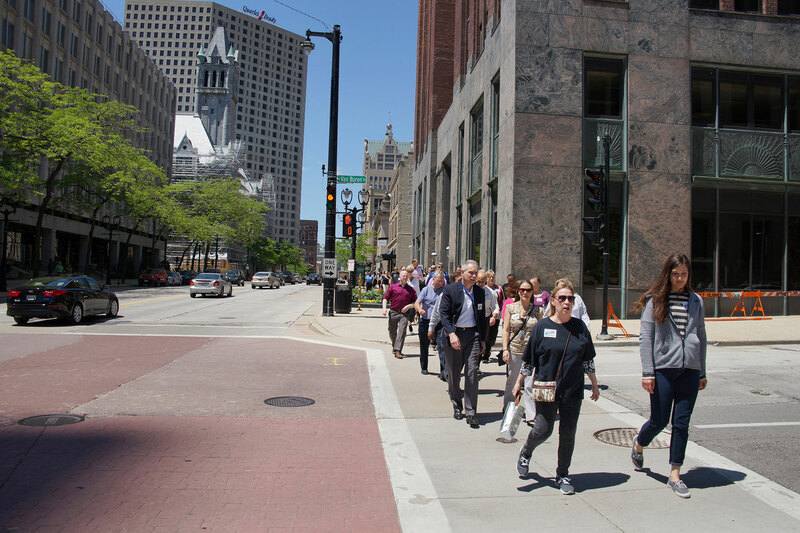 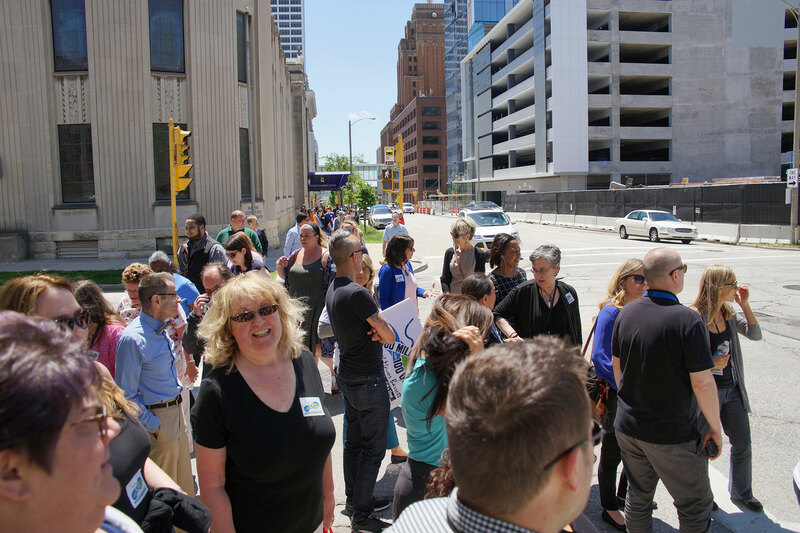 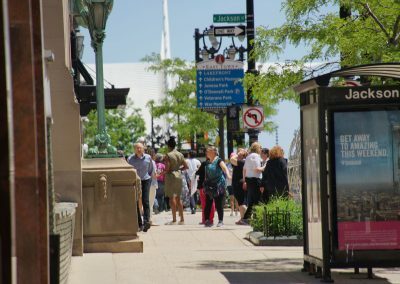 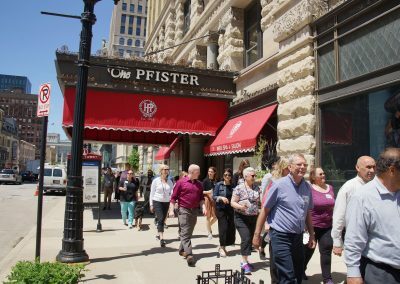 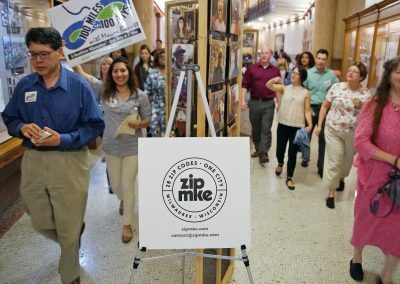 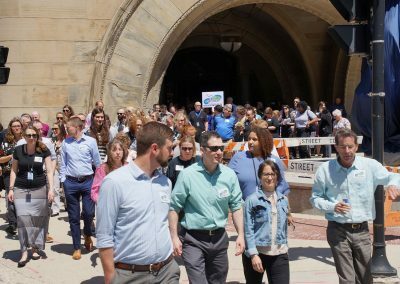 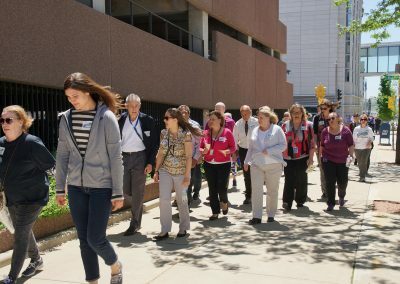 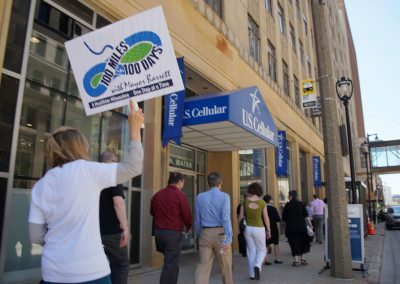 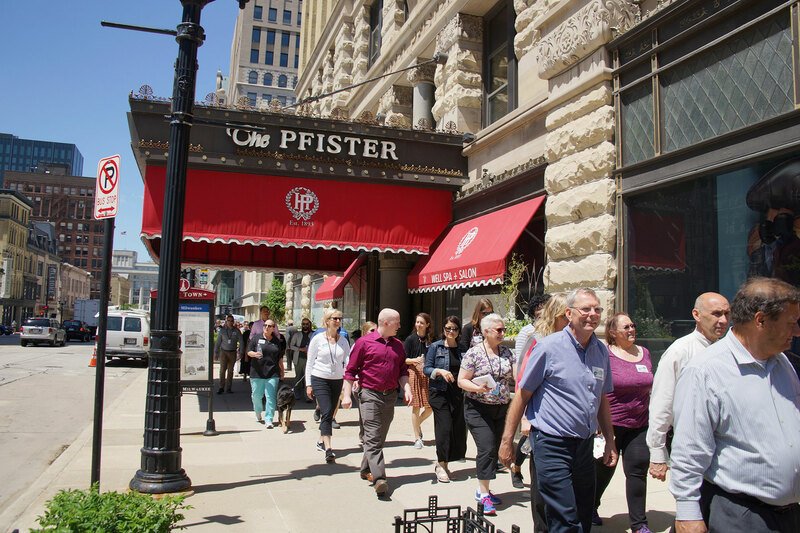 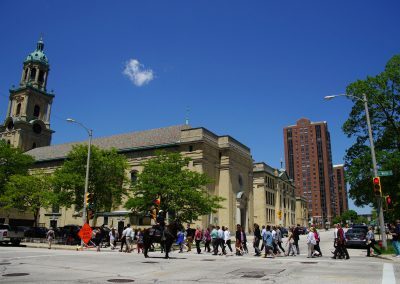 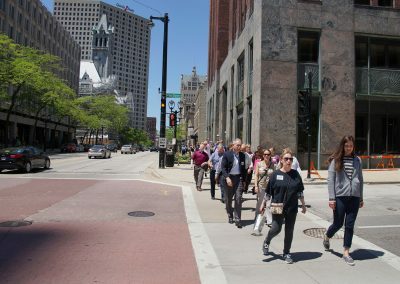 Walk 100’s overall goal is to increase physical activity among residents while promoting the uniqueness of Milwaukee’s neighborhoods. 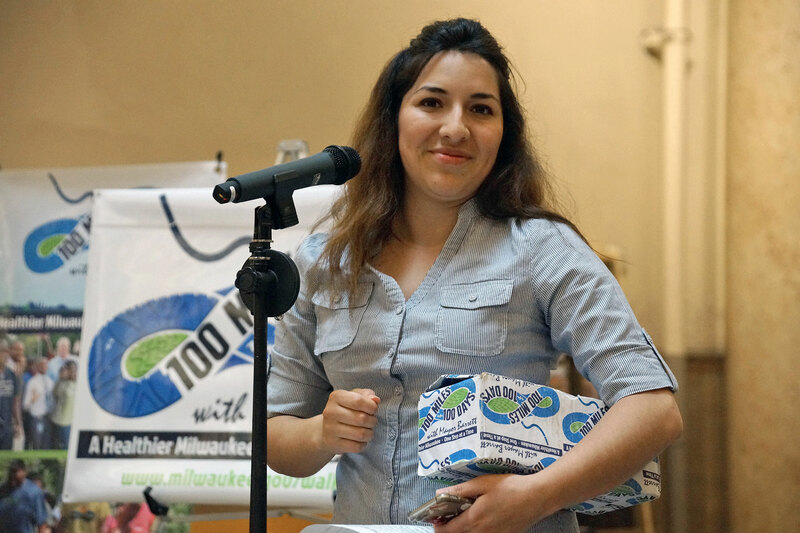 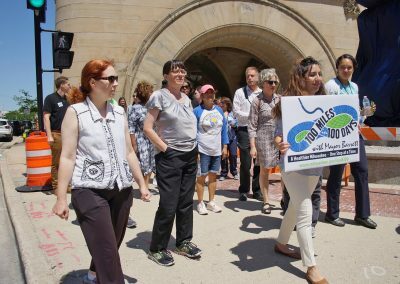 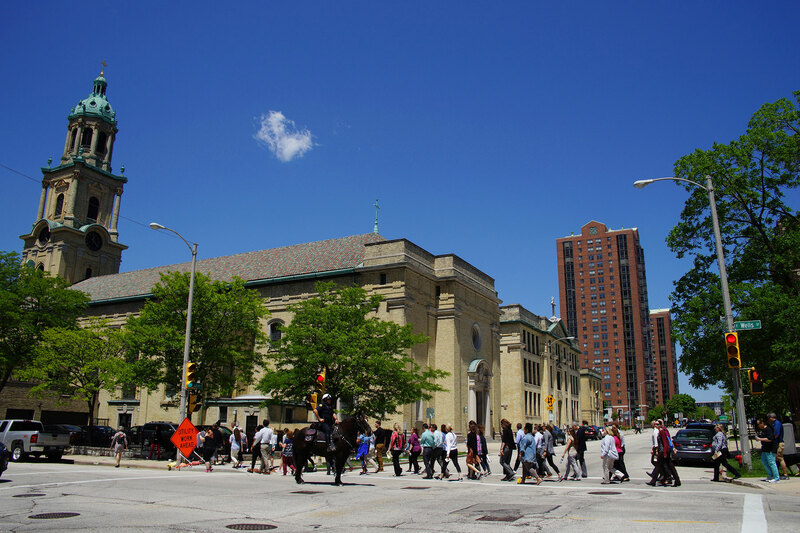 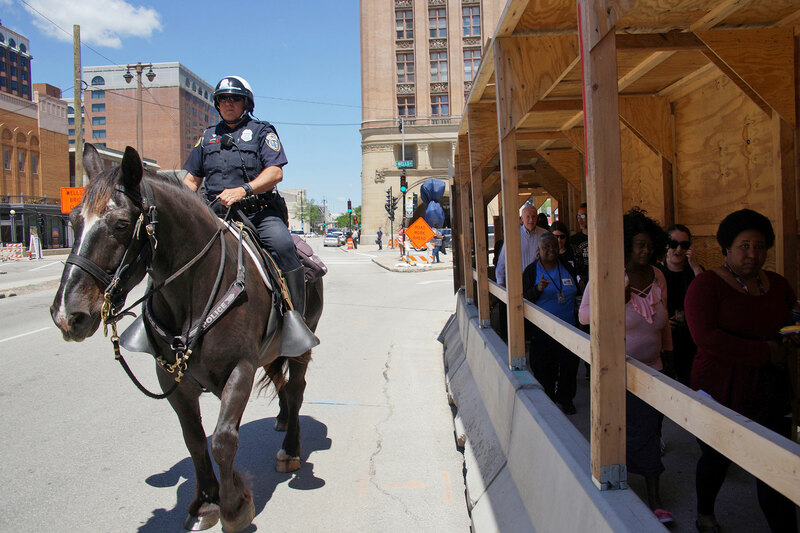 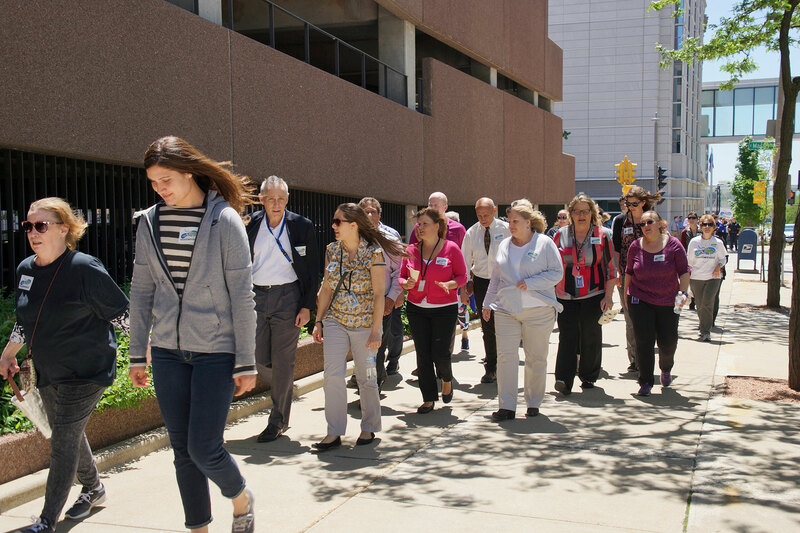 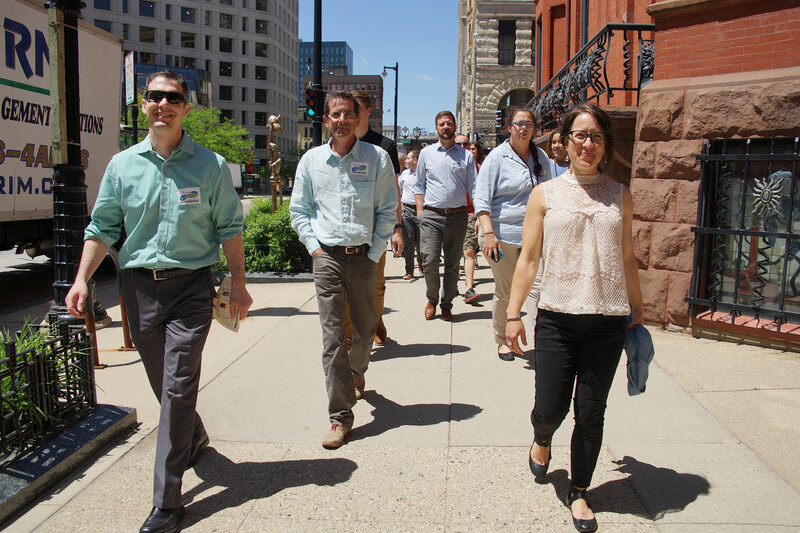 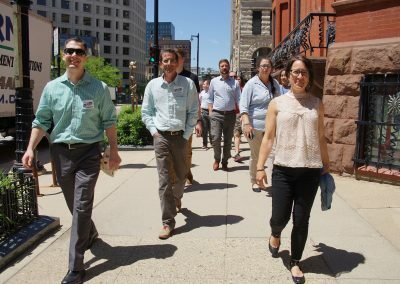 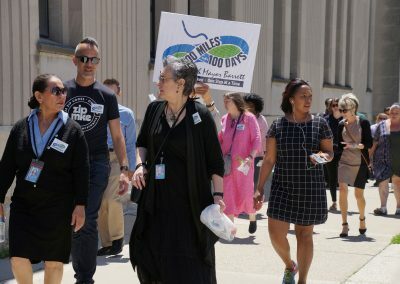 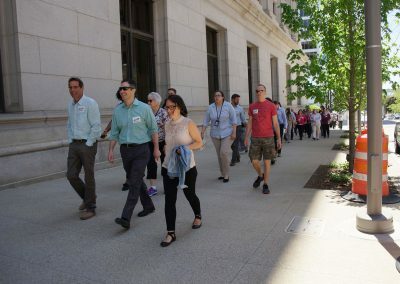 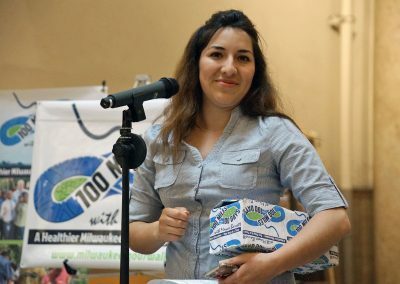 Throughout the summer, Walk 100 partners with community organizations, elected officials, and residents to host walks in all corners of the city. 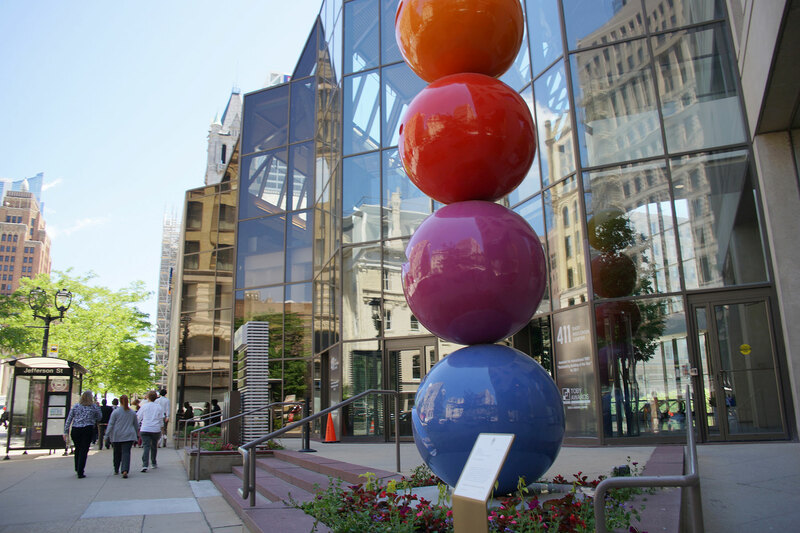 This abstract sculpture is formed by two bronze towers that intertwine, pushing and pulling against each other. 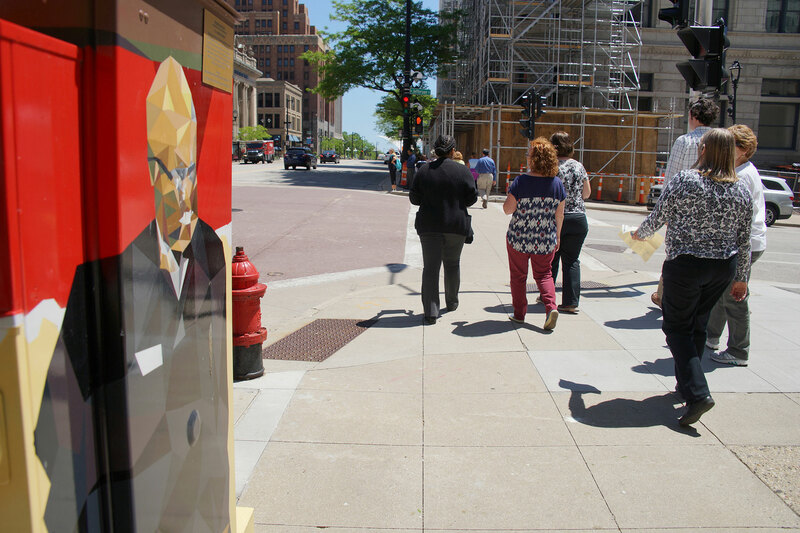 This utility box design shows Milwaukee’s founding fathers Solomon Juneau (sidewalk-facing) and Byron Kilbourn (street-facing) divided by the Milwaukee River, reflecting the infamous Bridge War of 1845. 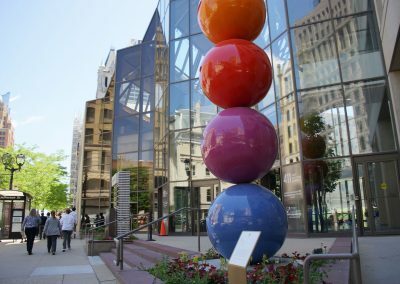 This bright, colorful sculpture consists of five spheres with emoji-like expressions ranging from cheerful to dour. 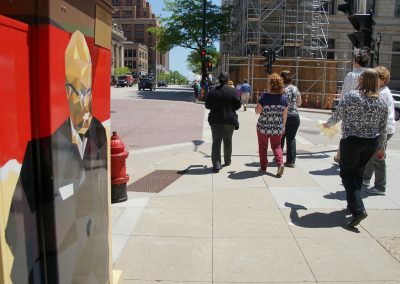 This utility box design depicts the Pfister Hotel’s architect Charles Koch (street-facing) and longtime bellman Harold Lewis (sidewalk-facing), who was known for his iconic smile that welcomed visitors to the historic hotel. 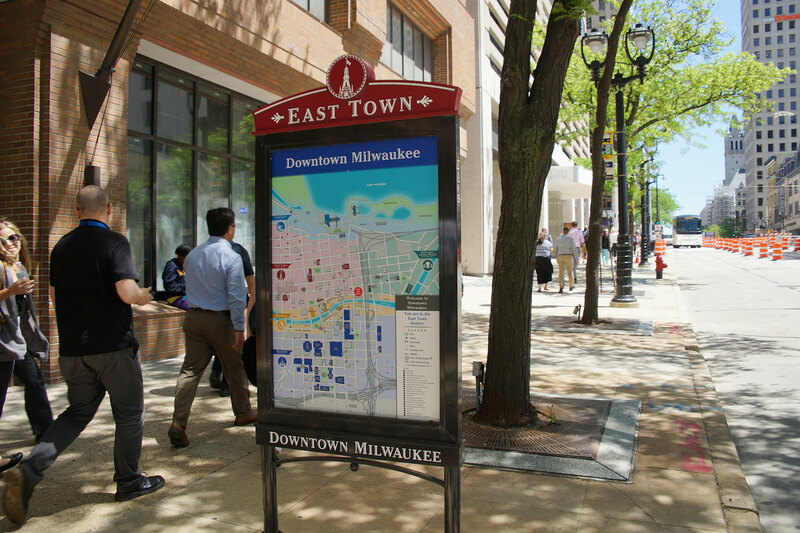 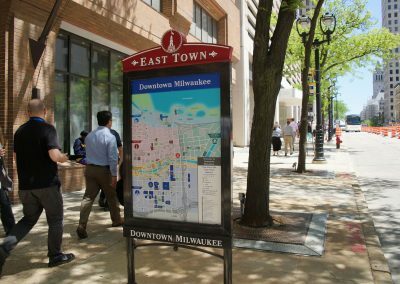 This utility box design honors Milwaukee’s downtown ambassadors and their dedication to keeping downtown safe, clean, and friendly. 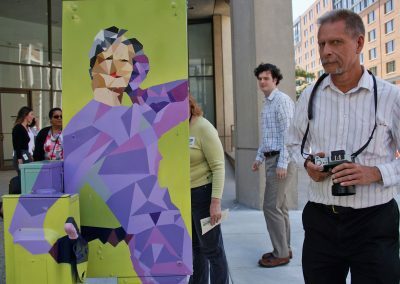 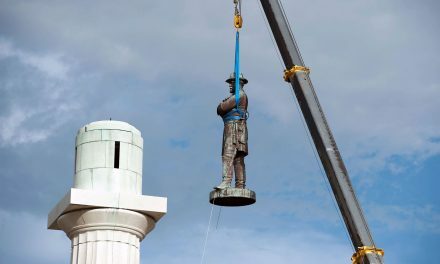 This sculpture was inspired by August Rodin’s work “The Burghers of Calais.” The disjointed figure reflects modern-day social, technological, and economic upheaval.